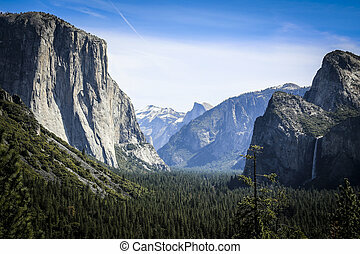 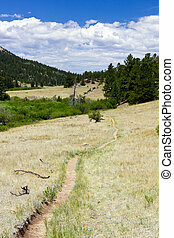 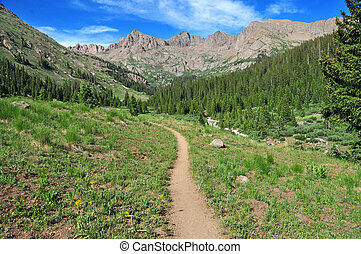 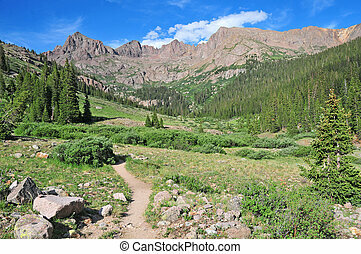 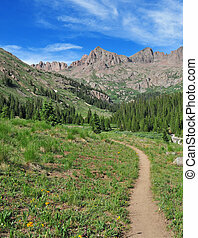 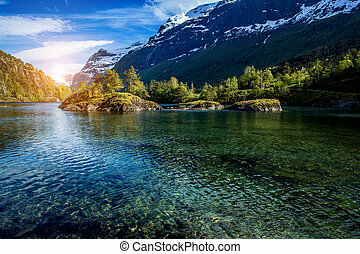 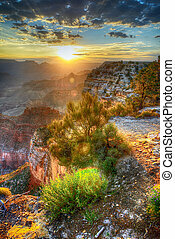 Hiking trail through the colorado rocky mountains. 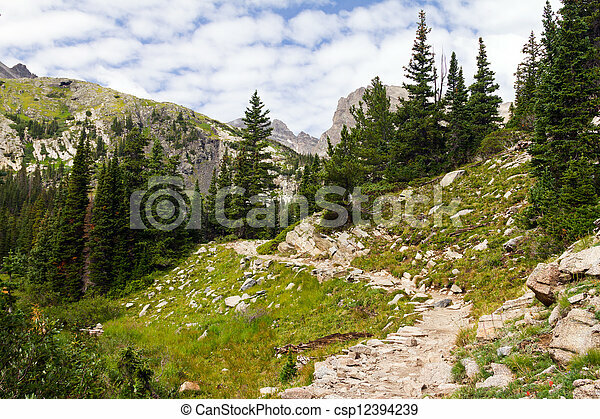 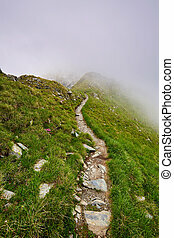 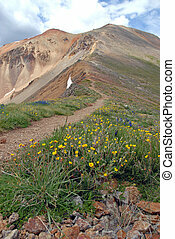 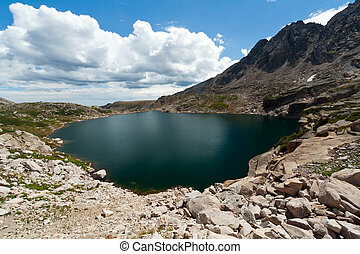 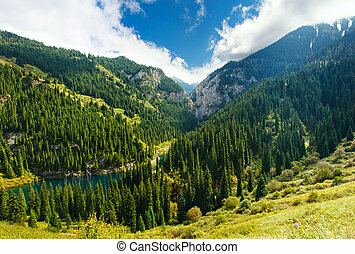 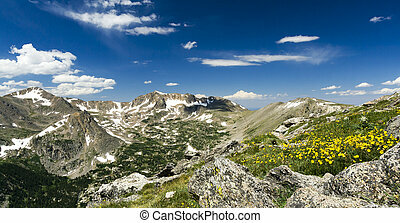 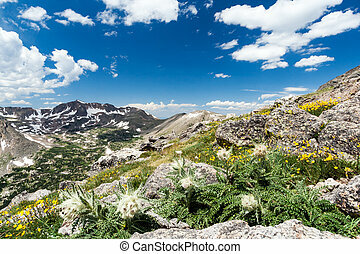 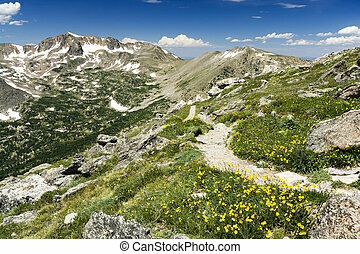 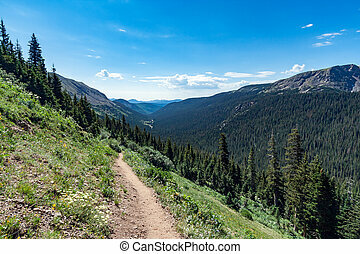 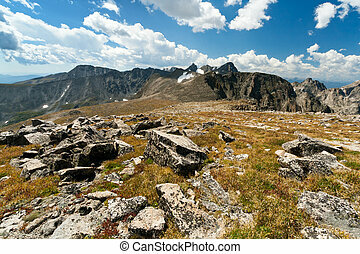 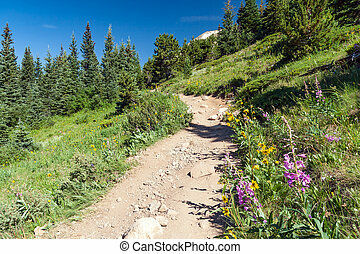 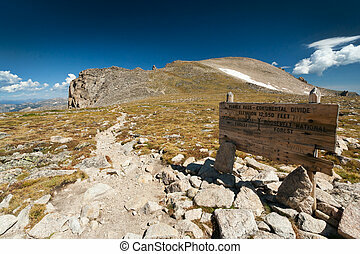 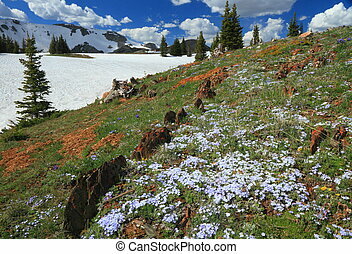 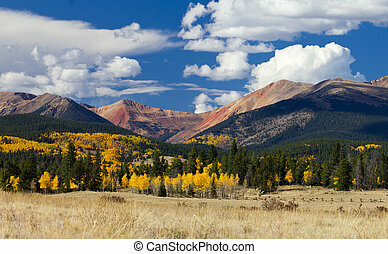 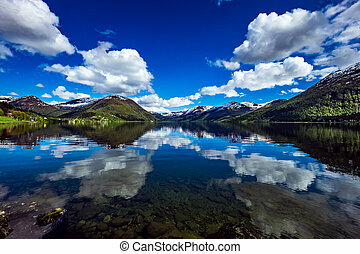 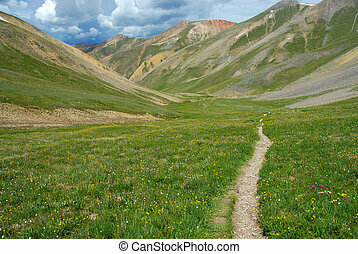 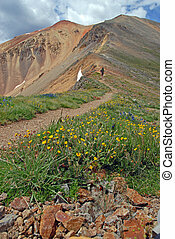 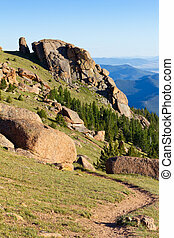 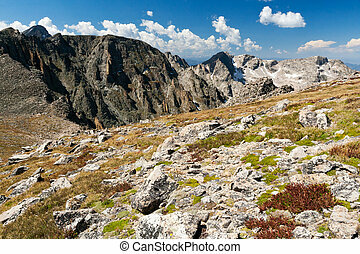 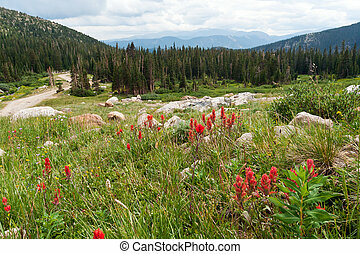 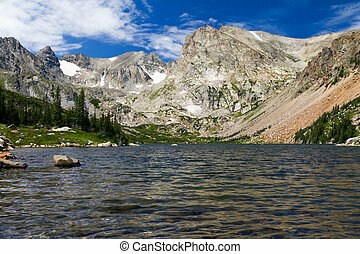 Hiking trail high in the colorado rocky mountains. 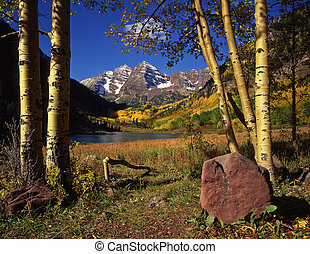 The Maroon Bells & Maroon Lake in the White River National Forest of Colorado, photographed during the autumn season.